…and surprisingly, people aren't happy. 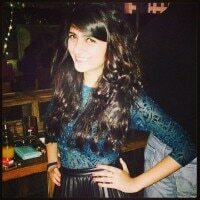 ​To people who have lived in Bombay, the city has always been Bombay (not Mumbai). Except of course if you're referring to the city in Marathi (the native language), then it has always been Mumbai. So when, Bombay was officially renamed as Mumbai in 1995, there were mixed reactions. But anyway, the name stuck. And while people use the anglicized and Marathi names of the city interchangeably, the city is Mumbai. Not Bombay. So when The Independent, a leading British Newspaper, declared that it was going to refer to Mumbai as Bombay from here on forth, people were taken aback. And more still were furious about the reason that its Editor Amol Rajan cited. "The whole point of Bombay is of an open, cosmopolitan port city, the gateway of India that's open to the world. If you call it what Hindu nationalists want you to call it, you essentially do their work for them," Rajan told BBC Radio. Now here's the thing. While the Shiv Sena party forced the change, the renaming was actually popular among Marathis, who had always called it Mumbai. Referring to the goddess Mumbadevi, the protector of fisherman and original inhabitants of the city. Bombay, on the other hand, comes from the Portugese name 'Bom Bahia'. And as you would expect, Twitter was on fire.